Facebook Inc’s shares headed towards their biggest one-day jump on Wednesday after the company reported a surprising rise in mobile advertising, easing concerns it was having trouble capitalizing on soaring use of smartphones and tablets. Facebook shares, sold for $38 each in their initial public offering in May, were up 20 percent at $23.61 in late morning trade. The stock was the top percentage gainer on the Nasdaq. Several brokerages raised their price targets on Facebook shares. Barclays Capital raised its target to $26 from $23, Jefferies & Co to $32 from $30 and Macquarie Equities Research to $24 from $21. Facebook, which reported third-quarter results on Tuesday, said it now gets 14 percent of its advertising revenue from mobile ads, a far bigger increase than mostly skeptical analysts had expected. Mobile advertising has been a key investor concern hanging over Facebook, shaving more than $50 billion off its market value since its IPO. 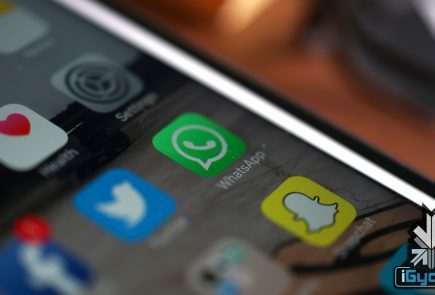 The world’s largest social network passed 1 billion active users in September but failed to dispel doubts about its mobile strategy. Chief Executive Mark Zuckerberg said on Tuesday that the mobile opportunity was “the most misunderstood” aspect of Facebook’s business. Rivals such as Google Inc are also struggling with a shift in consumer preference to mobiles from PCs. Marrisa Mayer, chief executive of struggling internet pioneer Yahoo Inc, said on Monday her top priority was to fashion a coherent strategy to manage the industry’s transition to mobile devices. Facebook said that some advertisers had pulled money out of desktop campaigns in favor of mobile, which caused desktop ad revenue to decline sequentially. Over time, Facebook’s growing expertise in mobile advertising, combined with more user data, will drive mobile monetization for the company, Colin Sebastian, an analyst at Robert W. Baird & Co, wrote on a note. Sebastian has an “outperform” rating on the stock and a price target of $32. Analysts were also positive about the company’s ability to add advertising revenue from new streams. 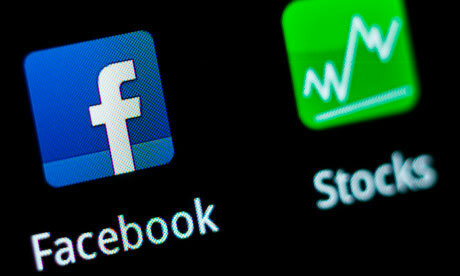 “Facebook has the potential to utilize user data to better match its users with advertisers,” Wedbush Securities Inc analyst Michael Pachter, who has an “outperform” rating on the stock with a $35 price target, wrote in a note. Needham & Co analyst Laura Martin said Facebook had opportunities to increase branded advertising revenue as top brands increase their association with the company in some form. Facebook’s advertising revenue increased by 36 percent to $1.09 billion in the third quarter. Facebook had a painful trading debut in May as investors fretted about its slowing revenue growth and the large pool of additional shares set to hit the market as “lock-up” restrictions on employee share sales expired. “The stock has seen its lows and should be able to withstand the coming share lockups,” Wells Fargo Securities analyst Jason Maynard said in a note to clients.